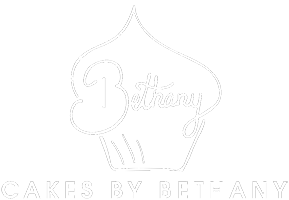 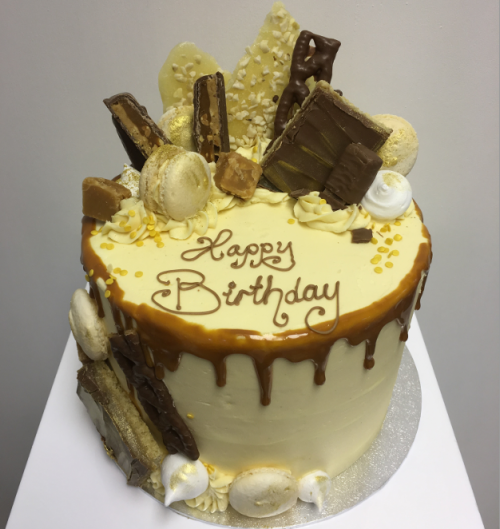 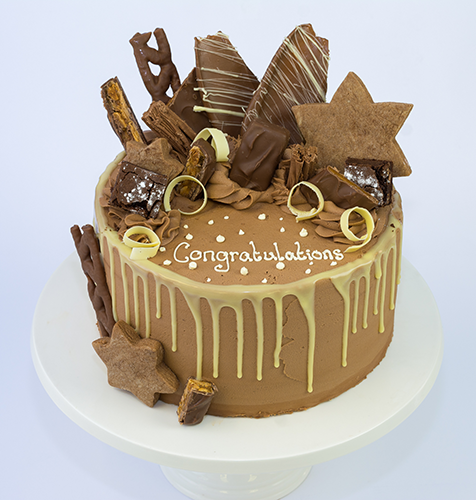 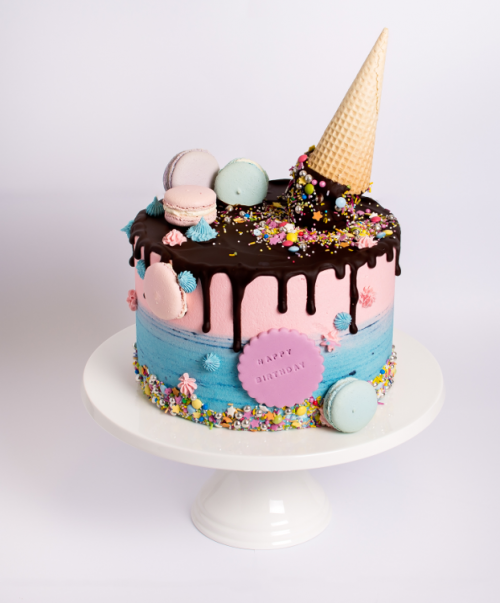 This cake is a slice of magic for children and adults alike! 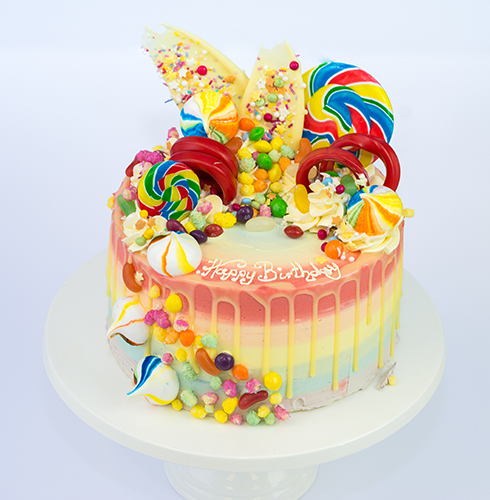 Topped with giant rainbow lollies, liquorice twirls, homemade rainbow meringues and covered in a selection of rainbow sweets. 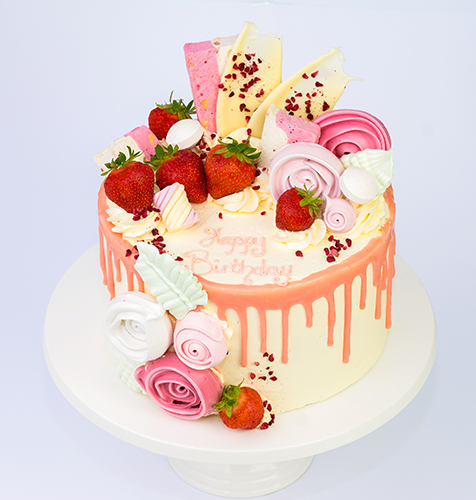 Once you’ve eaten your way through the treats on top, dive inside to find the sponge of your choice, all covered with rainbow frosting and a white chocolate drip.